If this Farmer wants a wife, then you need to get yourself ready to be first in line! It’s a lickably luscious, medium-bodied Shiraz that’s perfect for slurping at a summer barbecue. 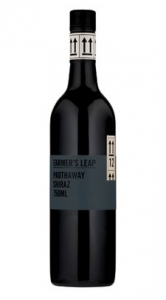 Grown in the warm climate and red soils of the Padthaway wine region of South Australia, you can taste the sunshine and warmth in the ripe, rich berry flavours. Rating: 3.5/5 VERY good wine.